(Furthermore: Bk. 2). 6 CDs. 7:05 hrs. Listening Library. Nov. 2017. $45. ISBN 9780525493594. digital download. Gr 5–8—Thirteen-year-old Laylee's job is to wash the dead. She is a mordeshoor in the magical village of Whichwood. Normally her family would be there to help bear this burden, but her mother is dead, though her spirit remains to nag Laylee, and her father left her in a fit of grief. Bodies are piling up by the dozen from the unappreciative townsfolk, and Laylee is all alone to wash and prepare them for the Otherwhere. Her loneliness begins to show through the loss of color in her skin and hair. Alice and Oliver come to help Laylee with her troubles, but not before causing more disruption first. Bronson Pinchot's narration is a bit bland, though listeners will know, for example, when a spirit is speaking, as opposed to a human, or when Alice is truly disgusted. 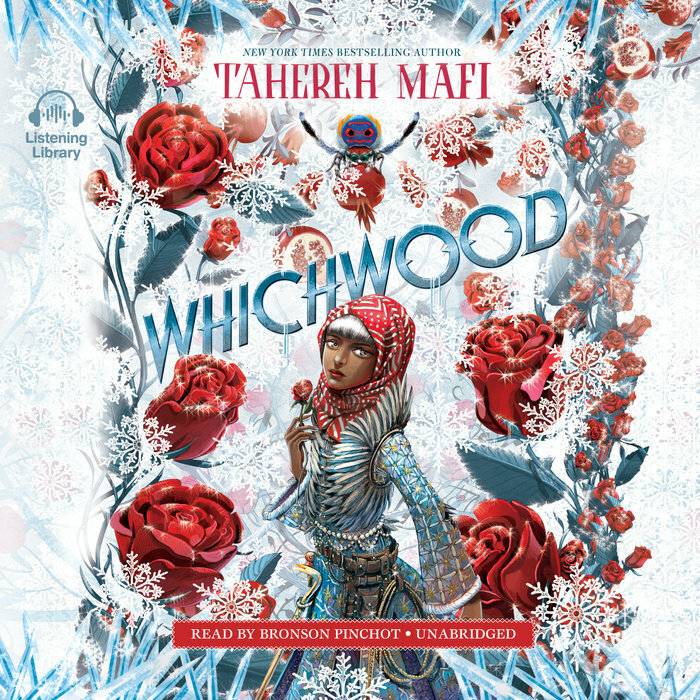 Listeners do not need to be familiar with Furthermore to enjoy Whichwood and will be eager to further explore this world in future books. VERDICT A solid story for those who love magic and mystery. Could be used in discussions about feminism, revenge, empathy, and equality. A quick listen.